Smart business goal setting ensures you are actively driving your business in the right direction. We know that effective goals help you to make better big-picture decisions. But, when they are well defined, goals can also make our smaller choices about what we work on day-to-day much easier to make. It's much easier to make the right day-to-day choices when you can refer back to your five year goals and ask yourself whether that choice would move you toward in your long term goals. Clearly defined goals take you beyond running the routine aspects of your business and allow you to build the future you really want. 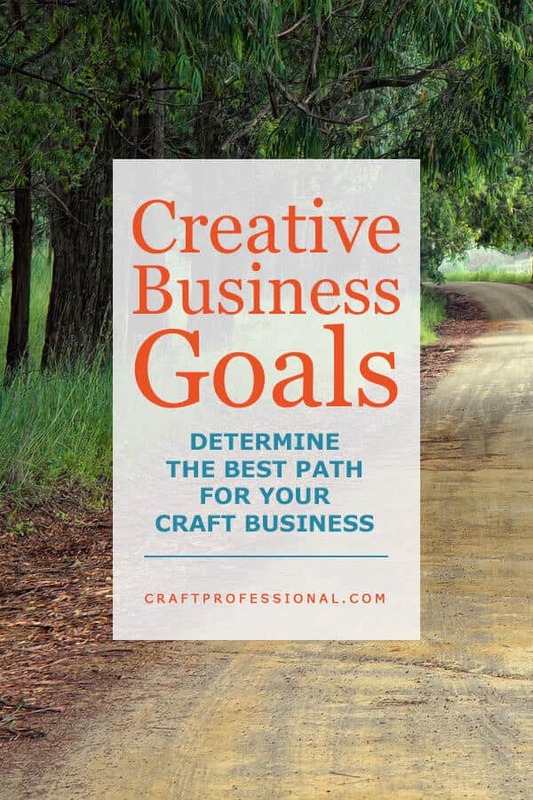 Where do you see your craft business five years from now? If you don't think about the answer to that question, you may end up with a business you don't love. 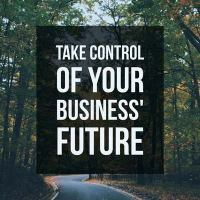 Think about each aspect of your business over a five year time span. You may even get a blank sheet of paper and map out each area over the course of five years. Here are a series of questions you can ask yourself to help you think about and clarify exactly where you want your business to be five years from now. Improve the perceived value of your work? Sell your work for higher prices? Be accepted to sell at higher profile craft shows? Achieve recognition for your work? Earn a full time income from your business? As you're thinking about where you want to be in five years, consider different areas of your business and creative development. What creative skills do you want to develop? What business skills do you want to develop? How will you go about developing those skills? What is your time frame for developing those skills? How much money and time can you invest in skill development? Will you take online courses, read books, take community-based courses, complete a degree program? 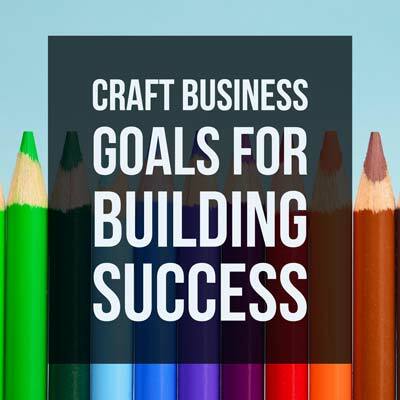 What are your financial goals for your craft business? Are you happy keeping your day job and earning some supplemental income from your craft business? Would you like to work part time but find a job that complements your craft business? Would you like to eventually earn enough from your business to fully support yourself? How do you see your product evolving over time? Would you like to refine your current work? Would you like to add a new technique to your process? Would you like to expand your current line into another product category? How would you like to market your products over time? Would you like to participate in studio sales? Would like to sell at some smaller craft shows? Do you see yourself participating in more high profile craft shows over time? Would you like to see your products in retail shops? Are you interested in consignment sales, or wholesaling your products, or both? 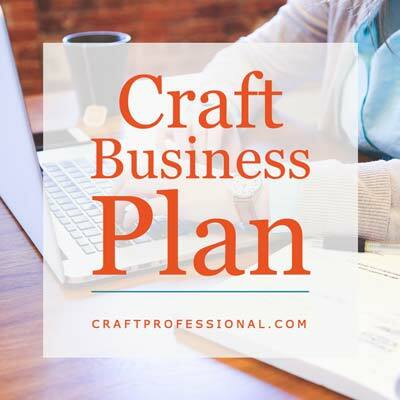 Will you sell your crafts online? What are your targets for growing your business' internet presence? Would you like to teach your craft? Would you like to be invited to speak at conferences? How to you envision the long term running of the practical aspects of your business? Would you like to keep things small, doing the work yourself? Will you enlist the help of a family member to help with simple tasks in the future? Is it your dream to have a studio large enough to support a part time virtual assistant or a production assistant? Is it important to you to become active in your community through your business? How will you become an active member of the crafts community? 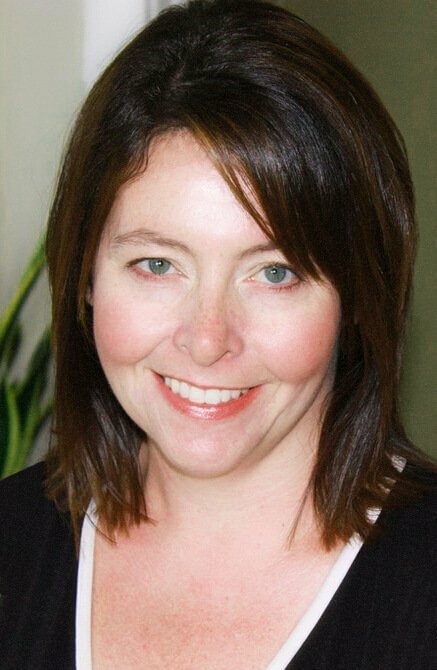 How will community involvement benefit your business? Will you join your local crafts council? Would you like to volunteer to teach creative projects at your local library? Is teaching or mentoring up and coming craft artists one of your future goals? When you really start to think about all aspects of your business, there are a lot of areas in which you can set goals. Once you've done some brainstorming and considered which aspects of your business you want to develop, and where you want each aspect of your business to be five years from now, it's important to express those goals effectively and clearly in writing. It's not enough to set a goal and write it down. You need to set effective goals and write them down in a way that helps you to move forward and achieve them. How do you do that? With the SMART goal setting technique you can learn about here.